Fifty years after the death of Thomas Merton, religion and spirituality publishers continue to release books on the life and teachings of the American poet, essayist, social activist, and Trappist monk. Merton, who is credited with bridging Eastern and Western churches and whose writings on Catholicism include the 1948 bestselling autobiography The Seven Storey Mountain, died suddenly at age 53 under mysterious circumstances in Bangkok, Thailand on December 10, 1968. Hundreds of books have been published about the iconic monk in subsequent years, including around his 100th birthday in 2015, but check out modern perspectives of Merton and new collections of his work being timed with the 50th anniversary of his death this year. 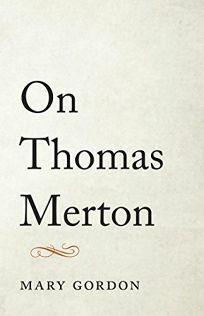 This collection of letters between Merton and the author, Nicaraguan priest, poet, and politician Ernesto Cardenal Martinez, who studied under Merton at a Trappist monastery in rural Kentucky in 1957, highlights their shared spiritual and political struggles over the course of nine pivotal years. Memoirist and novelist Mary Gordon (Circling My Mother, The Stories of Mary Gordon) examines Merton from a “writer to writer” approach, taking into account his life, work, letters, journals, autobiography, and fiction. Wait, permissions editor and e-book manager at New Directions, collects a variety of Merton’s poetry and prose in this gift book geared toward slowing down, making time for silence, and experiencing joy. British author Moses, dean emeritus of St. Paul's Cathedral, sheds light on Merton’s withdrawn lifestyle as well as his outspokenness on issues such as civil rights and nuclear weapons to make a case for why the Catholic priest is an important contemporary figure to study today.